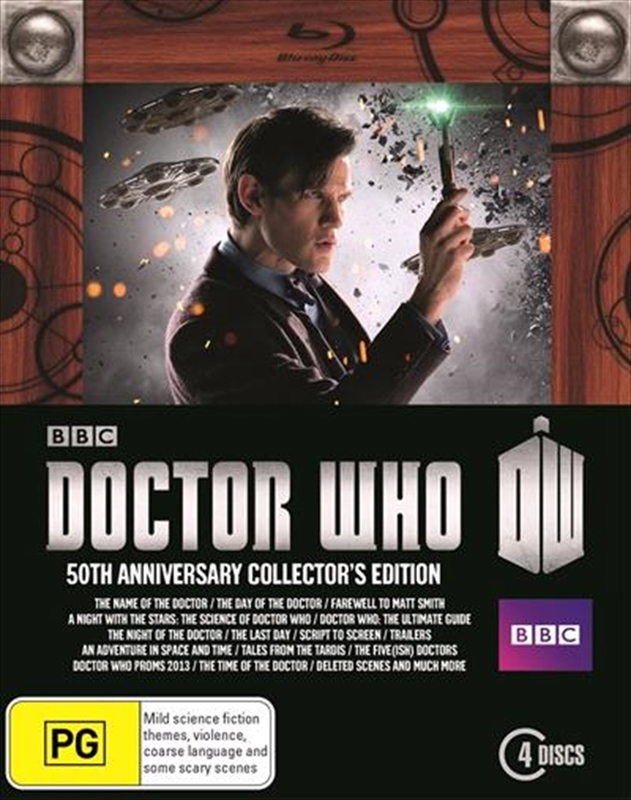 For the ultimate Doctor Who fan comes a special collection of highlights from the groundbreaking 50th anniversary of Doctor Who, including Mark Gatiss - award winning drama. An Adventure in Space and Time on Blu Ray for the first time, and the hilarious Five-ish Doctors - starring Peter Davison, Colin Baker, Sylvester McCoy and a host of special guests. The collection is packed full of special features including an exclusive cut of the read-through of The Day of the Doctor featuring Matt Smith and David Tennant, deleted scenes, Doctor Who at the Proms 2013 and the mini-episodes The Last Day & Night of the Doctor.